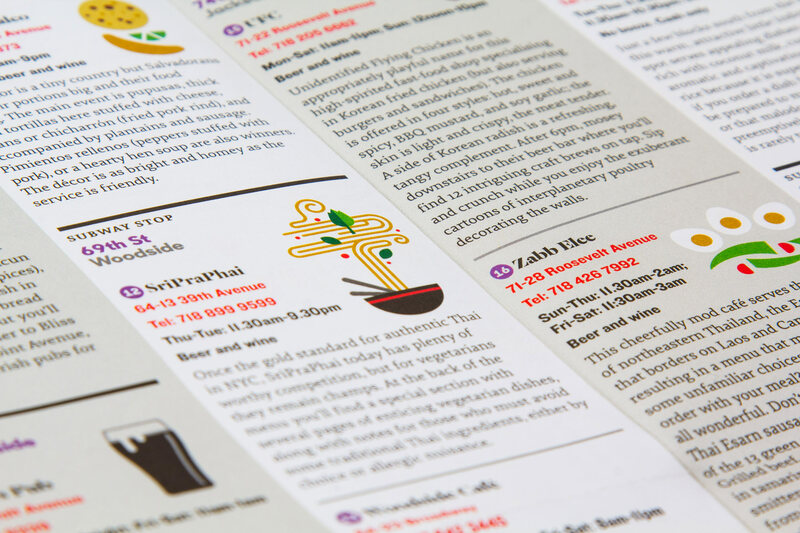 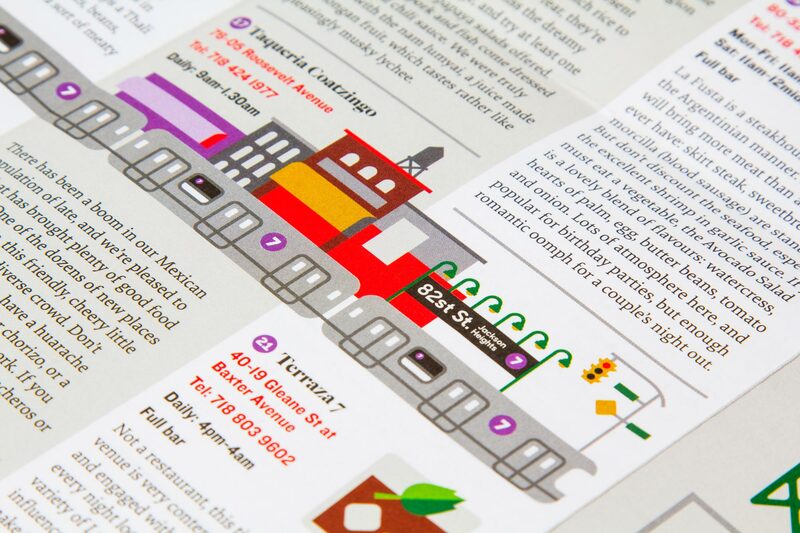 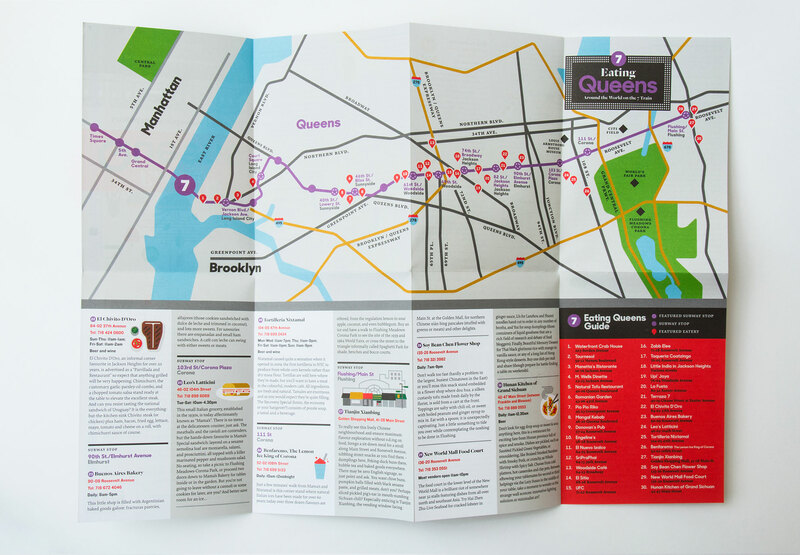 Herb Lester Associates create curated, hand-held travel maps of off-the-beaten-path locales. 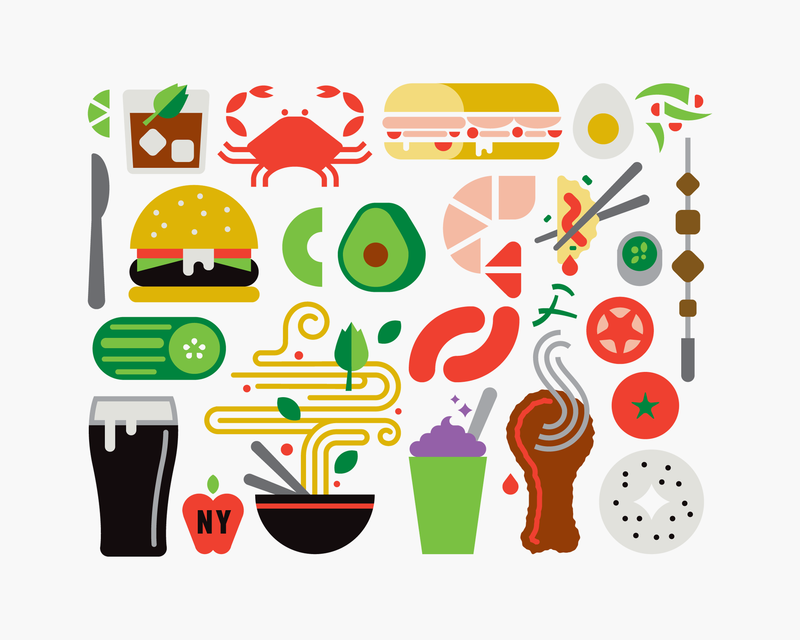 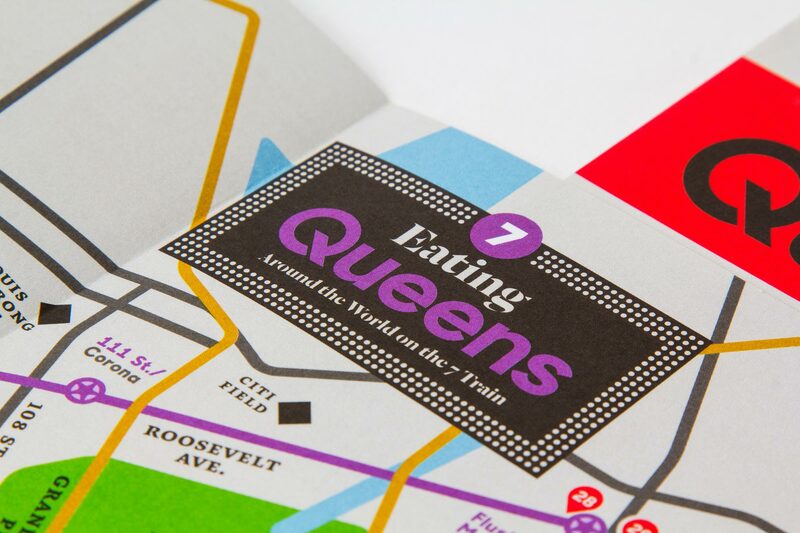 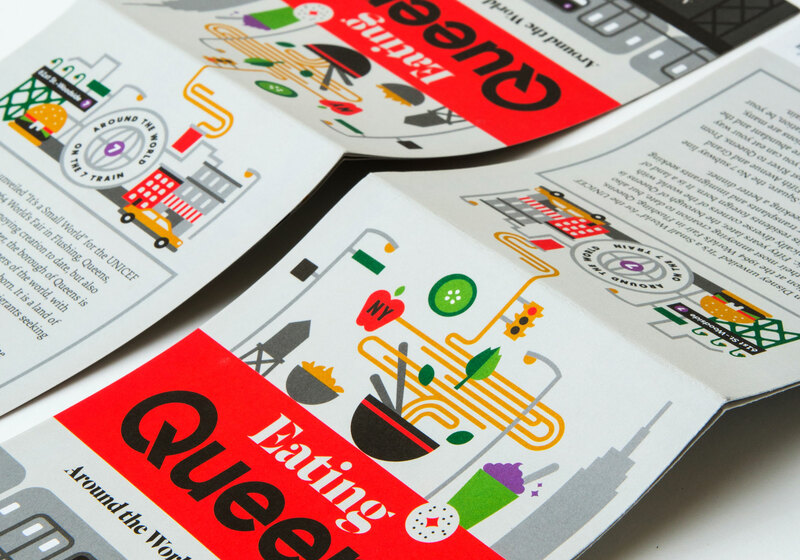 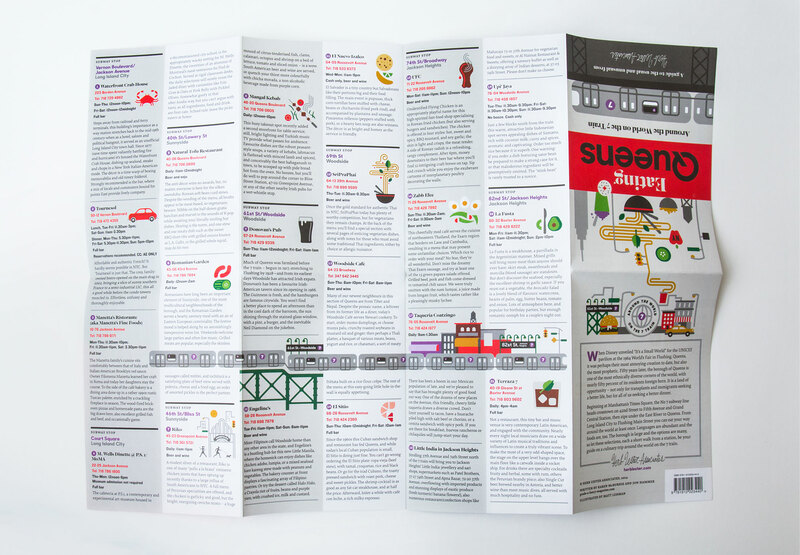 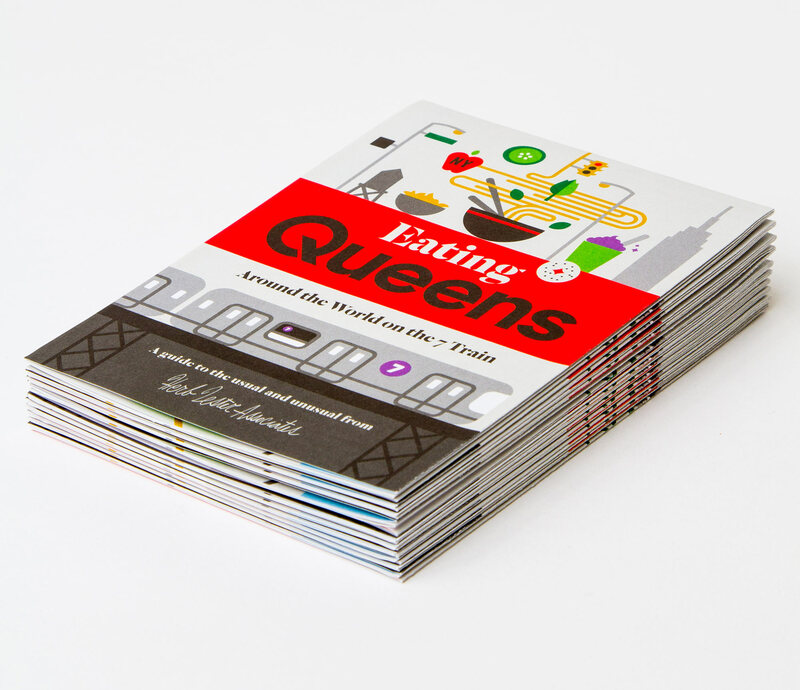 They approached me about creating a new map based on the hidden culinary gems along the 7 train running through Queens. 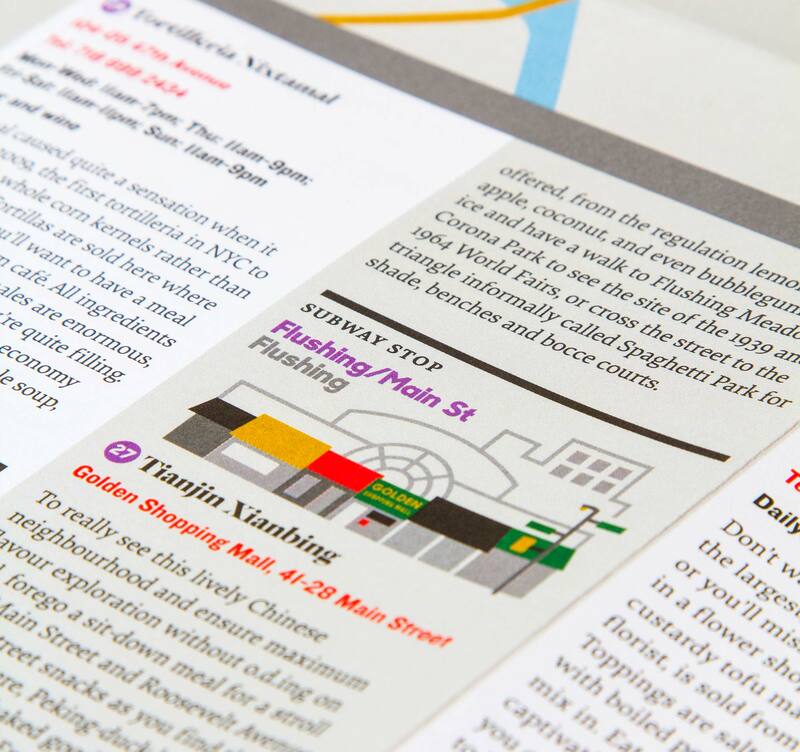 Through lively colors and dense illustration, we tried to capture the cultural richness and cultural intensity crammed into a small section of just one of New York’s boroughs.